Explore the magical side of New Zealand and understand why this beautiful country was chosen to portray Middle-earth. The Queenstown area featured prominently in the filming of the incredibly popular Lord of the Rings trilogy. Nomad Safaris operate two different Lord of the Rings tours. 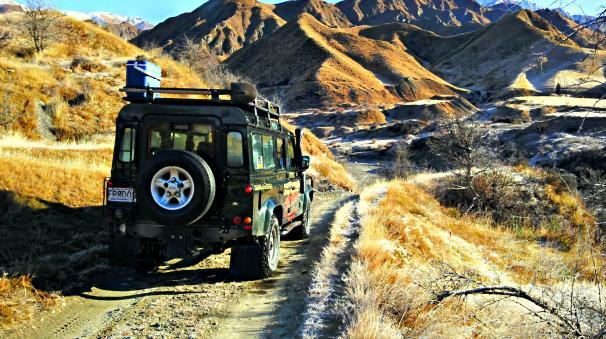 The Safari of the Scenes – Wakatipu (Tour A) combines a true 4WD tour with film locations from the LOTR trilogy. The Safari of the Scenes – Glenorchy (Tour B) is the perfect sightseeing trip through the valleys beyond Glenorchy encompassing pivotal Lord of the Rings Scenes. Both Safaris of the Scenes can be done in one day for a truly exciting experience. A true 4×4 off road adventure which explores the historic gold mining town of Macetown. Long since abandoned after the gold rush Macetown has now been transformed into a Department of Conservation reserve. Ride the rugged road in the safety of Nomad Safaris 4x4s that ensures excitement and adventure crossing the Arrow River some 25 times each way. Immerse yourself in the history of this precious region by panning for gold and letting our knowledgeable guides teach you about the hardship and exhilaration these miners faced.